Boulevard Supply is a supplier of crowd control stanchions, safety stanchions and traffic control equipment to car dealerships and the automotive industry. 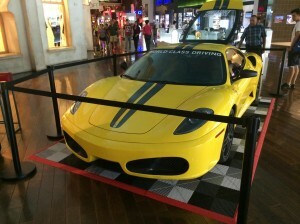 Most new cars on a car dealer’s showroom floor are there for customers to touch and explore. Occasionally, there are some cars that are eyes only and need protection. We have standard height retractable stanchions and short stanchions that create a line barrier around showroom to keep customers at a distance and keep the cars fingerprint free. If you have a few classic cars on display to protect, we also have post and rope stanchions that match that classic look. Is the parking lot out of control? We have multiple sizes and colors of traffic cones and delineators to help you keep your car dealer parking lots organized and maintained. Many car dealerships utilize our portable signs to direct customers to service areas and help them navigate through the property. The assembly line and product areas need proper protection with the proper color stanchions and the proper markings on the retractable belts depending on which area you are in. 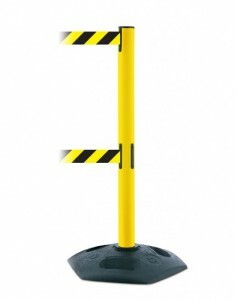 We have safety stanchions for all areas of your factories and warehouses. Each year the automotive industry shows off their new cars at event centers and convention centers around the country. These event centers use crowd control stanchions to maintain the large crowds at these heavily attended shows. Some of the auto manufacturers also use stanchions around select vehicles that are strictly for the public’s viewing pleasure. Many shops and garages across the USA use evaporative cooling fans in the garage area to keep the garage and mechanics cool. We offer various sizes of cooling fans that operate efficiently and quietly giving you hours of maintenance free service. The size you need depends on square footage of the garage area.